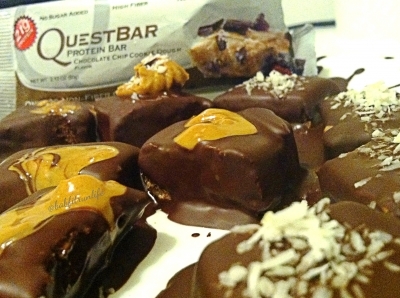 Dark Chocolate covered Quest bar cookie dough bites, topped with coconut and peanut butter! These are a great treat after a hard day at the gym! *Let cool and add PB or coconut on top or whatever your heart desires in toppings!